This human condition needs to be taken more seriously. It is fast becoming the worst humanitarian crisis of our times. Nativists are making it worse by denying a tradition of granting asylum to the stateless. We have seen the cycle before — and it never looks good. People look back on shut-them-out policies with shame (this is certainly the way Americans, Canadians, and others view the treatment of asylum-seeking Jews in the 1930s and 1940s). Are we destined to repeat the cycle? If we cannot come up with a coherent response to the nativists in our midst, the answer will be yes, and the consequences for relations with and within the Islamic world and other emergency zones will be lasting. 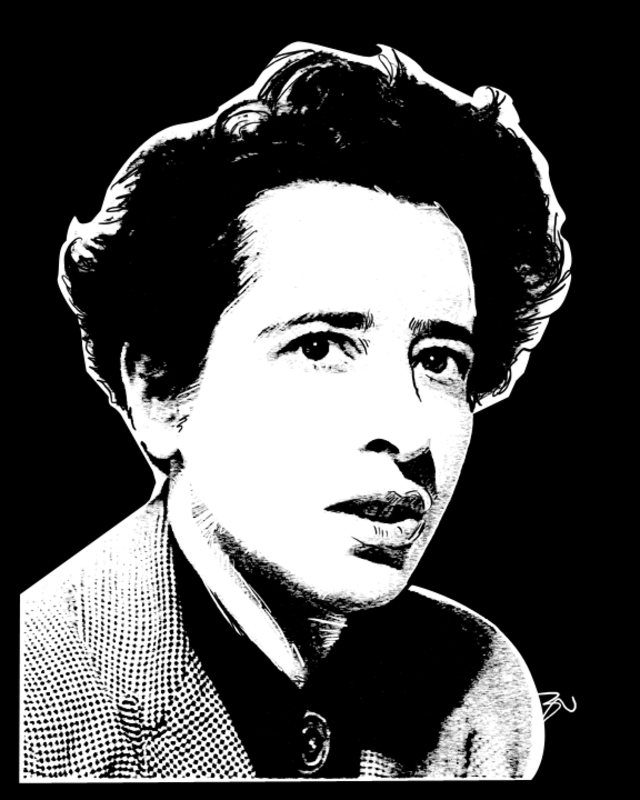 Can Hannah Arendt, the avatar of public philosophy, help us formulate an enlightened response? Can this former refugee help us reaffirm our obligations to people who have nowhere else to turn? The answer is steeped in her years as a pariah and her insights into dehumanization. Arendt’s own stateless experience helped forge the elements of the book that would make her famous in America and worldwide. The Origins of Totalitarianism was finished in the summer of 1950. In it, she noted that “a man who is nothing but a man has lost the very qualities which make it possible for other people to treat him as a fellow man.” Without a political community, man was a pariah. Months later, Arendt closed a long, agonizing chapter of her life and became a naturalized citizen of the United States, a pariah no more. And yet, her statelessness is often forgotten. We recall her German years and the romance with Martin Heidegger, the source of much fretting about the limits of her idealism. And we remember her American years. When I first read The Origins of Totalitarianism as a student, it was a Cold War classic. There were many beery nights in the 1980s arguing about the difference between authoritarian and totalitarian regimes, disputing the ideological distinctions of President Ronald Reagan’s foreign policy. We obsessed about what kind of state ruled. But what it means to have no state at all? Not really. Nowadays, in our age of terror and fugitives, there is another way to read The Origins. There is a different Arendt to remember — not the American made famous by Cold War politics or her searing words about the Eichmann trial and the banality of evil, but the stateless Arendt posing for such an iconic image that we have forgotten the reasons for her mournfulness. The Origins of Totalitarianism is a book drawn from a well of personal experience. Arriving in Paris, Arendt moved around the small hotels of rue Saint Jacques in the student quarters of the Left Bank. She was married to a fellow philosopher, Günther Stern, but by then it was a union in disarray. They officially divorced in 1937, and Stern left for the United States. She would eventually meet Heinrich Blücher. Not a Jew, but a self-taught communist, Blücher was a pariah in his own way. The two moved to an apartment on rue de la Convention in the 15th arrondissement, a quartier swelling with expatriate Germans. The rent came from bits of her mother’s gold, smuggled out of Germany as buttons sewn to her clothes and hocked to a wealthy female Jewish patron for cash. Refugee conditions were squalid. Living nearby, the exiled economics student Otto Albert Hirschmann (known to us as Albert O. Hirschman) had to combat a cockroach plague so that he and his sister Ursula (the target of Blücher’s seductions before he met Arendt) could sleep. The solution: place the bedposts in pots of kerosene so the swarm of insects could not climb up the furniture and into the bed. Exile means eviction from one’s political community. But it also brings fresh encounters. To be unwanted is never just about being rejected by those who throw you out. 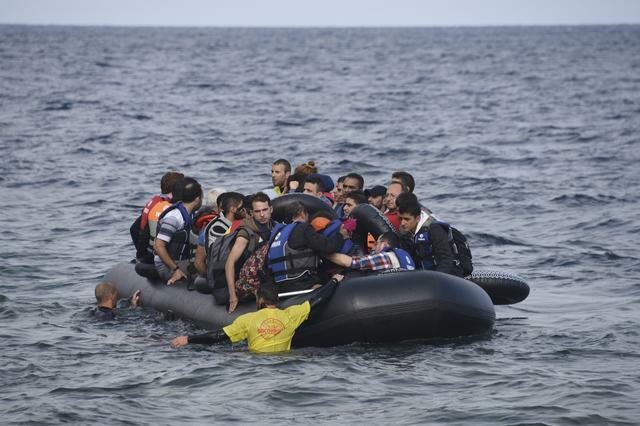 It also entangles refugees with the ambiguities of their hosts. In the case of the legions of Central European Jews fleeing to Paris and London, exile meant dealing with the establishment Jews who often ran the charitable organizations that took care of the fugitives. Arendt made sense of her pariah-hood in brushes with a different Jewish condition: these upstart, establishment Jews. She called them “parvenus,” and they loomed large in her thinking about the Jewish condition and statelessness. To be unwanted is never just about being rejected by those who throw you out. The move to Paris brought parvenus up close. Arendt’s previous work for the German Zionist Organization (and some contacts) eventually led to a meeting with Baroness Germaine de Rothschild. One could not imagine a more suitable emblem of the type. The baroness was the matron of the upper-class Consistoire de Paris, which oversaw schools, synagogues, religious courts, kosher shops, and a seminary. Arendt’s job was to oversee the grandee’s donations to Jewish charities, which left her with a mix of admiration for the private work among the have-nots and impatience at the baronial aversion to principled public stands. As Arendt crisscrossed the line between the world of pariahs and their cockroaches and the world of the parvenus and their soirées, nativists rampaged in the streets. The Paris grisaille broke with a scandal that nearly brought down the Third Republic. Alexandre Stavisky, a Russian Jew who had worked his way up from soup factory worker to financier, had made a fortune off glossy bonds backed by the emeralds of “the Empress of Germany.” The jewels turned out to be glass, and the whole scheme came down in a great public scandal. By then, Stavisky’s influence in the press and the corridors of power were notorious, spreading accusations of that perennial bestseller, the Jewish conspiracy. After his mysterious death in January 1934 — officially ruled a suicide but considered by many to have been murder — a number of ministers in the French government, including Prime Minister Camille Chautemps, had to resign. When the new government tried to purge the police of its notorious reactionary, anti-government commanders, the French Right unleashed its fury. On February 6, 1934, the Place de la Concorde became a battlefield for nationalists and police. The brawling left 15 rioters dead. 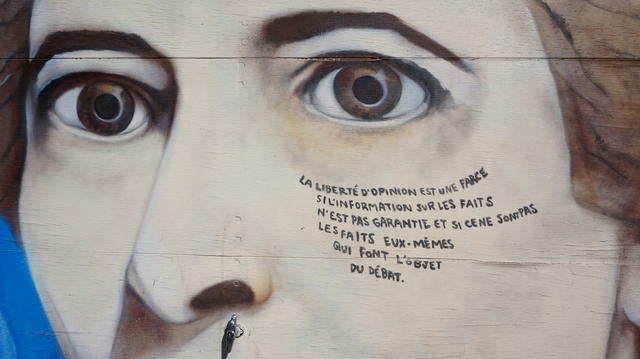 Aghast, Arendt filled her notebooks with newspaper clippings on the scandal and the resurgent French anti-Semitism. She also grew dismayed about the parvenus. As far as they were concerned, keeping a low head was the best way to keep it on one’s neck. Arendt’s perspective on the Dreyfus Affair anticipated later accusations that she lacked compassion and love for her people. It is a thorny subject in Arendtology, and divides the Arendt-bashers from her admirers. It comes up in the charges of Jewish self-hatred after the 1963 publication of Eichmann in Jerusalem. That book became an icon for victim-blaming: If she accused Jewish leaders of doing too little to defend their communities against the onslaught, her critics, starting with Norman Podhoretz in Commentary magazine, accused her of doing too much to blame Jews for their ruin (he preferred the good-versus-evil narrative and the sacralizing of the Holocaust in Jewish memory as the modern defining trauma). For her apostasy, Arendt was being banished once more as the treasonous Jewess. The myth of Arendt’s self-hatred goes on. The 2013 film Hannah Arendt by Margarethe von Trotta makes allegations of Jewish self-hatred the centerpiece of the drama, though in doing so the film depicts Arendt as a universal symbol brought low by lip-snarling Zionists. The mythologizing either way misses the message about the specific condition of the pariah. Arendt never accused all Jews of self-inflicted genocide; it was the silent, complicit leaders she charged with not doing more to defend those who could not speak. Arendt never accused all Jews of self-inflicted genocide; it was the silent, complicit leaders she charged with not doing more to defend those who could not speak. Trials loom large in this saga. 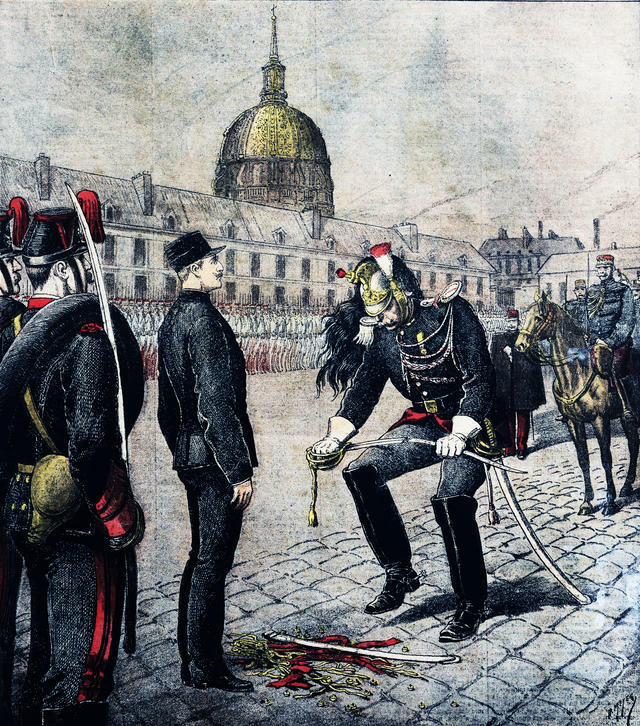 Dreyfus. Eichmann. Consider how Arendt responded to Kristallnacht, the night of November 9, 1938, when Nazi gangs tore through Jewish shops and homes: Arendt was as horrified as others at the Nazi zeal to destroy. But she was also dismayed that French Jewish leaders distanced themselves from Herschel Grynszpan, a Polish Jew whose murder of a Nazi diplomat in Paris in November 1938 became the pretext for thugs to go rampaging in Germany. As she tore through the newspapers, taking notes and collecting clippings, Arendt treated Grynszpan’s trial as a test of Jewish leaders’ commitment to their own. Instead of making sure the pariah got a fair trial, however, they sacrificed Grynszpan with silence. Even here, the line that divides the pariah without rights to use from the parvenus with rights they refused to use is not so hard and fast. Capable of being merciless, Arendt did appreciate the pathos of the parvenus: they claimed a home they could never sure of. This was the significance of Rahel Varnhagen’s solitude. In exile, Arendt came to see what the parvenu always knew: home could not be taken for granted. This precariousness motivated the quietude. While Eichmann in Jerusalem had scabrous things to say about parvenus’ roles in the destruction of the Jews, what fired up Arendt was her sense that those who had rights had a duty to wield them for those who had none. If they were guilty, it was not that parvenus had given up their rights; it was that they did not defend those who did not have any rights. In exile, Arendt came to see what the parvenu always knew: home could not be taken for granted. A silhouette of Hannah Arendt’s book took shape against Europe’s darkening skies of 1938. At the urging of her friend Walter Benjamin, whose apartment on rue Dombasle in the 15th arrondissement became a second home, and where she and Blücher spent long evenings discussing events, Arendt started to compose her ideas. Meanwhile, German repression and the annexation of Austria sent new waves of pariahs to Paris. While she was not volunteering to help refugees, Arendt was frantically taking notes, aware that a reckoning was coming. When France declared war in September 1939, there was a long pause known as the drôle de guerre, or “strange war.” The French government began to round up suspicious Germans. Men like Blücher had to report to work camps. Released after a few months, Blücher returned to Paris; he and Arendt arranged a hasty marriage on January 16. Getting a French marriage certificate may have saved both their lives: several months later, Hannah and Heinrich went from being pariahs together to becoming prisoners apart, and their marital papers would eventually be a ticket out. 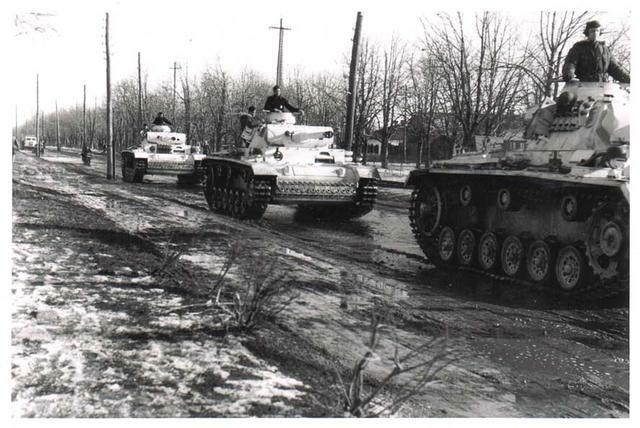 As Panzer divisions hurtled across the borders, the French government summoned all German, Saar, and Danzig-born men between ages 17 and 55, as well as women without children, to report to the prestataire of internment camps. The men went to the Stade Buffalo, women to the notorious Vélodrome d’Hiver, now known as the Place des Martyrs Juifs, at the edges of the 15th arrondissement. (Two years later, it was from this arena that the Jews of Paris would be herded onto trains and sent to Auschwitz.) After a week on cement bleachers, Arendt and others boarded buses. Passengers sobbed as the caravan left Paris for Gurs, a camp for Spanish refugees and International Brigade fighters. Cut off from the world, the internees did their best to stave off boredom and anxiety with routines and rituals. When France fell to the Nazis six weeks later, apprehension turned to panic; rumor spread among Gurs inmates that they would be turned over to the Gestapo. Some were able to use naturalization certificates and marital papers as passports to get out. Arendt walked out of the gates into the chaos of the first days of Vichy France. The Origins of Totalitarianism took form in the ensuing dangerous, heartbreaking months. Vichy France was the picture of turmoil. Millions streamed from the Nazi-occupied north. The roads were clogged with bicycles, carts and cars. Arendt walked and hitchhiked to a friend’s house in Montauban, a provincial town not far from Toulouse, and sent word of her location to Paris. One day, while walking on Montauban’s main street, she ran into Blücher, who’d been released from his camp when German troops entered Paris. The two embraced in the bedlam of mattresses, furniture, and discarded toys of refugee children. They found a vacated house and parked themselves, waiting. 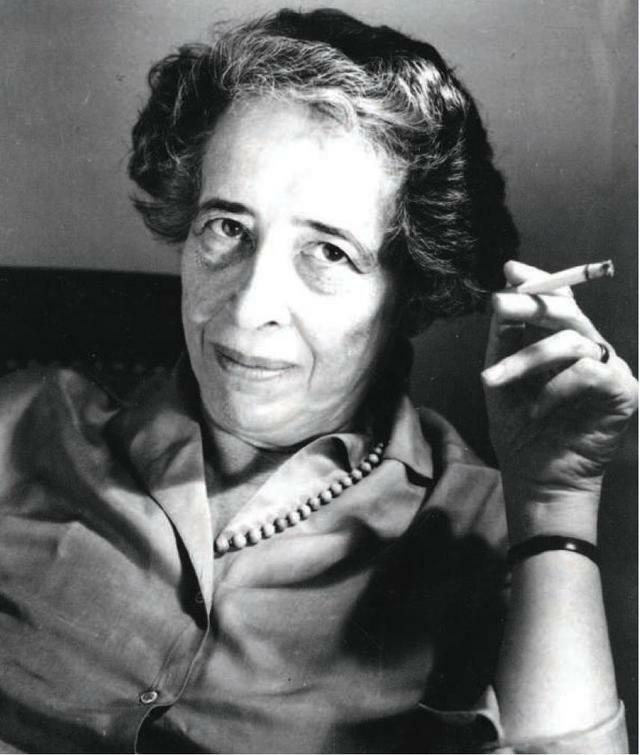 While the summer of 1940 rolled out Marshal Philippe Pétain’s anti-Semitic decrees, Arendt sat in the garden or at her makeshift desk, reading and taking notes. It was in Montauban that she read the works of the half-Jewish Marcel Proust, who would figure prominently in The Origins — the writer who transformed “worldly happenings into inner experience” just as Arendt was turning her inner experiences into reflections on the world. He was her witness on bourgeois France’s soulless ambitions and disintegration into an ensemble of cliques drained of self-respect or virtue, intolerant of outsiders, Jews, or “inverts.” A dejudaized Jew, Proust observed a world he could only partially belong to, not least because he was also gay. The garden was also the setting where Arendt digested Clausewitz’s On War, which does not figure in Origins but which cued her to the collapse of Europe’s state system. Borrowing from Clausewitz, Lenin had argued that the collapse of the state system in the First World War had created the conditions for revolution; for Arendt, another collapse created the conditions for the opposite a generation later. Staying in France meant camps and deportation to Germany, or hiding; there was no refuge. By summer’s end, an American named Varian Fry had teamed up with Hirschmann, now operating as Albert Hermant “née a Philadelphie” — Fry would joke that his right-hand man had too many identities to be trustworthy — to create the Emergency Rescue Committee operation in the Hotel Splendide in Marseilles. Together, they worked the port’s demimonde of mobsters, fraudsters, and prostitutes to turn American visas into getaways, with bogus transit passes, departure permits, money, and an escape trail over the Pyrenees. Young Aliyah, a Zionist group, got Arendt and Blücher American visas. Now, the pair needed a way out of France. They bicycled to Marseilles to find it. It was in Marseilles that they caught up with Walter Benjamin, who also had a visa and planned to work at the Institute for Social Research in New York. Escape, however, was fraught with risks. Like many refugees, Benjamin was a wreck. Arendt did her best to bolster his hopes; in return, in case something happened, Benjamin gave her his manuscript, “Theses on the Philosophy of History.” Then he made for the Pyrenean crossing at Portbou on September 25. After a long mountainous trek, he reached the Spanish customs house, but General Francisco Franco’s man turned Benjamin back; that day, transit visas would no longer be honored. Stuck between a France that did not want him and a Spain that refused to let him pass, alone, in the dark, a distraught Benjamin committed suicide with an overdose of morphine pills. Months later, when Arendt and Blücher had escaped with the help of the Emergency Rescue Committee and were sailing to New York from Lisbon, they opened Benjamin’s packet. The pariahs took turns reading “Theses” to each other aloud as a small crowd gathered to listen to the philosopher’s last words. Sometimes, compromises work. This one did not. To Arendt, it was destined to fail because the men of Versailles had refused to understand that making peace by lumping people into new states and handing power to majorities consigned the non-members of newborn nations to go from misérable to indésirable. 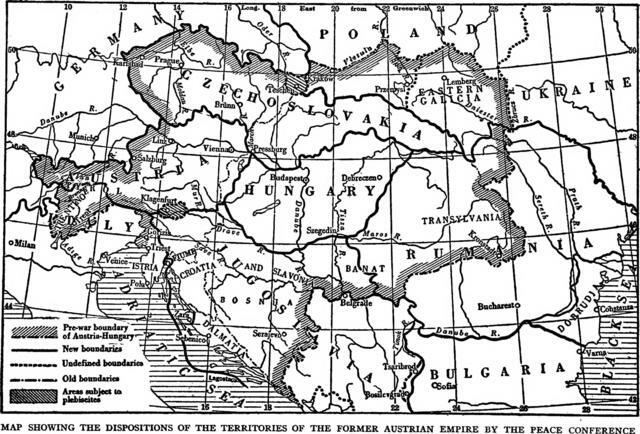 Across eastern and central Europe, they were destined to become the new pariahs in a world that was supposed to be made peaceful with nation-states. It was, Arendt charged, “an open breach of promise and discrimination.” No wonder that the frenzy for nation-building also produced the modern political refugee. All this was utterly predictable. “The danger of this development,” Arendt wrote, “had been inherent in the structure of the nation-state since the beginning.” Instead of recognizing that the nation-state was the ailment, peacemakers spread it around. No wonder that the frenzy for nation-building also produced the modern political refugee. The Minority Treaties were charters for Jewish ruin. Jews, after all, were minorities everywhere but wanted nowhere. But what made Jews the minority par excellence was that their plight was singled out —by Jews and non-Jews alike — as a “Jewish problem.” Once the fate of the Jews was theirs alone, the deal was done. Unlike Germans, who had a state that muscled to their defense on bogus grounds (like Hitler “rescuing” ethnic Germans in the Sudetenland in 1938), the Jews had no such thing. The perfect pariah could now be made the ideal scapegoat. Then came the roll call of surprise. Bystanders were shocked when Hitler denationalized the Jews, shocked when the Jews became refugees, shocked when they could not get rid of them, and shocked when these stateless and unwanted minorities got rounded up for the slaughter. Had these bystanders been more aware of the perils of deriving rights from national sovereignty, Arendt concluded angrily, they should not have been nearly so shocked. The modern story of the Jews became a chapter in world history because “the arrival of the stateless people brought an end to this illusion” that nationality served human rights. The modern story of the Jews became a chapter in world history because “the arrival of the stateless people brought an end to this illusion” that nationality served human rights. The real horror of the concentration and extermination camps lies in the fact that the inmates, even if they happen to keep alive, are more effectively cut off from the world of the living than if they had died, because terror enforces oblivion. Something had entered politics, “some radical evil,” that was not previously known and should never have been admitted. The idea that entire races could be gassed out of existence was no longer just a possibility. It is only thanks to our institutions that we become equal. Arendt was famous for the scorn she heaped on happy pieties that realities hollowed out. Among her choice targets of platitudes: we are all born equal, destined for liberty and the pursuit of happiness. We are not. It is only thanks to our institutions that we become equal. Our organizations enable us to live in freedom. Humans, she noted, enjoyed rights only as long as they were members of political communities; the minute they left, or were banished, their rights were gone, and only their frail and perishable humanity remained. It would take a stateless woman to remind the public that these rights are not natural. It took an alien to say it: these rights can be taken away. Worse even: people can find themselves in a world where no one wants them any more, and these rights cannot be regained. It would take a stateless woman to remind the public that these rights are not natural. It took an alien to say it: these rights can be taken away. The real plight of the pariah is not just to be driven from home. That has been a misfortune of our world for a long time. God did it to Adam. Rulers have made outlaws from time immemorial. No, what singled out the modern age was that no one would take in the pariah. “I am still a stateless person,” Hannah Arendt wrote to Jaspers months after the war ended, “I haven’t become respectable in any way.” The Origins of Totalitarianism is a book about despots and dehumanizers. But it is also a book about the unrespectable and the unwanted, as well as the rest of us — the shocked onlookers at the horrible things that horrible governments do to people. Arendt’s voice is one we can turn to as we grapple with the spread of statelessness in our day. Camps and pariahs are still with us. They have never been more numerous. They are products of our world of interconnected nation states. We have a role in creating rights to have rights. It includes our ability to offer sanctuary for those that have none. That, Arendt would argue, is a starting point for saying no to the nativists at home and taking a stand against the tyrants abroad. global thinking called The Opening of the Global Mind.